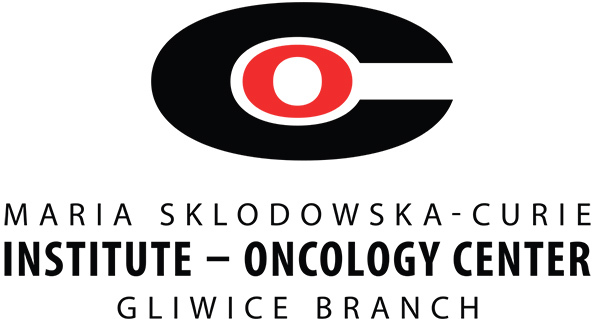 M.Sklodowska-Curie Institute – Oncology Center Gliwice Branch in Gliwice, Poland provides comprehensive care for cancer patients, which includes: prevention (molecular tests and screening), diagnostics (pathology and radiology) and therapy (surgery, radiotherapy, chemotherapy and radionuclide therapy). The Nuclear Medicine and Endocrine Oncology Department is the oldest and the largest thyroid cancer centre in Poland, which offers a comprehensive treatment from diagnosis to successful cancer cure. We handle over 15,000 thyroid cancer patients, who undergo periodical follow-up. Our multidisciplinary team involves endocrinologists, oncologists-radiotherapists, nuclear medicine specialists surgeons (from the Clinic of Oncological and Reconstructive Surgery), pathologists (from the Department of Tumour Pathology), and specialists in clinical oncology (from the 3rd Clinic of Radiotherapy and Chemotherapy). Apart from physicians our team is supported by a group of molecular biologists, physicists and technicians, nurses and other medical personnel specialising in nuclear medicine and endocrinology. Twice a week, Thyroid Tumour Board, reviews all new and recurrent patients to establish an optimal diagnostic and treatment plan for each patient. More than 200 total thyroidectomies and about 100 lateral neck lymph nodes dissections are performed every year in the Oncologic and Reconstructive Surgery Clinic. In some advanced cases reconstructive surgery (e.g. tracheal reconstruction) is also available. The Department of Pathology diagnoses more than 500 new cases of thyroid cancer yearly. Twice a year national based workshop on difficult cases is thyroid histopathology is held. Medical treatment of thyroid cancer includes radionuclide and endocrine therapy. Radioiodine therapy is performed either in endogenous or rhTSH stimulation. Our experiences involve the treatment of more than 200 cases paediatric thyroid cancer. Research on indication and optimal performance of radioiodine treatment, mainly focused on molecular predictive factors and radiation dosimetry, is ongoing. In the advanced stages of the disease patients are offered new targeted drugs, mostly under clinical trials or off-label. To date more than 160 patients with advanced thyroid cancer were enrolled to clinical trials. Our special interest is focused not only on efficacy of novel therapies but also on risk and management of side effect. Molecular Laboratory of Nuclear Medicine and Endocrine Oncology Department, equipped with a high-throughput molecular tools and recognised as a Centre of Excellence by Affymetrix company, uses the latest methods of genetic and biochemical diagnostics (DNA, RNA, proteins analysis), the results of which are crucial for further therapy planning. On regular clinical bases it provides molecular tests involving among others: RET for diagnosis of MEN2 syndrome in medullary thyroid cancer and BRAF as a prognostic tool in differentiated thyroid cancer.